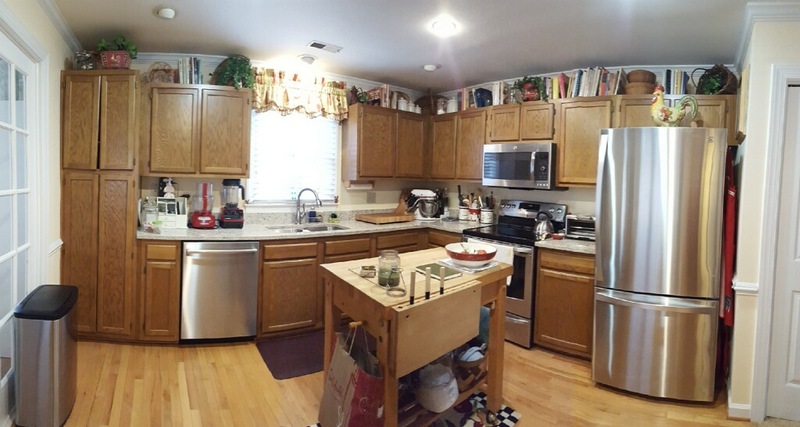 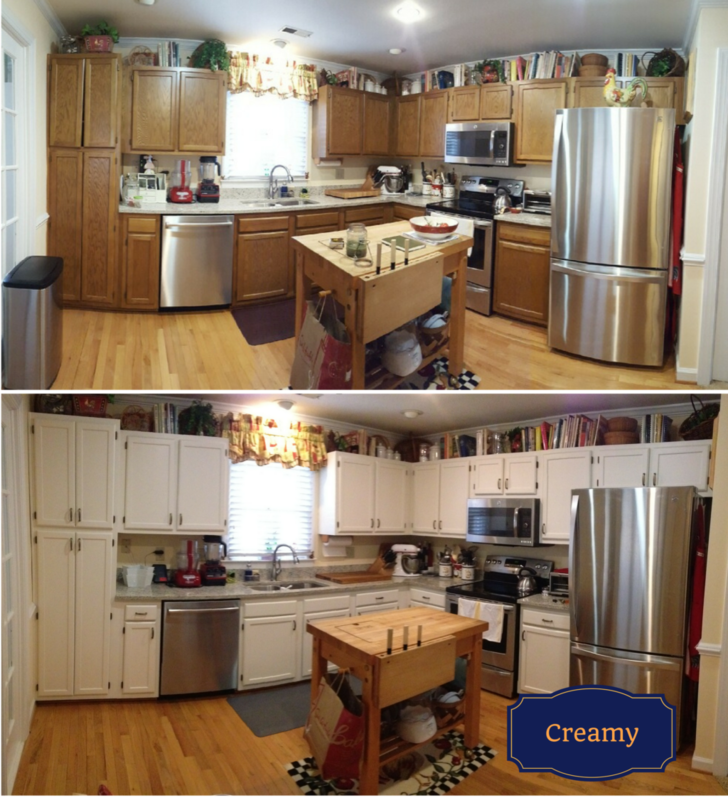 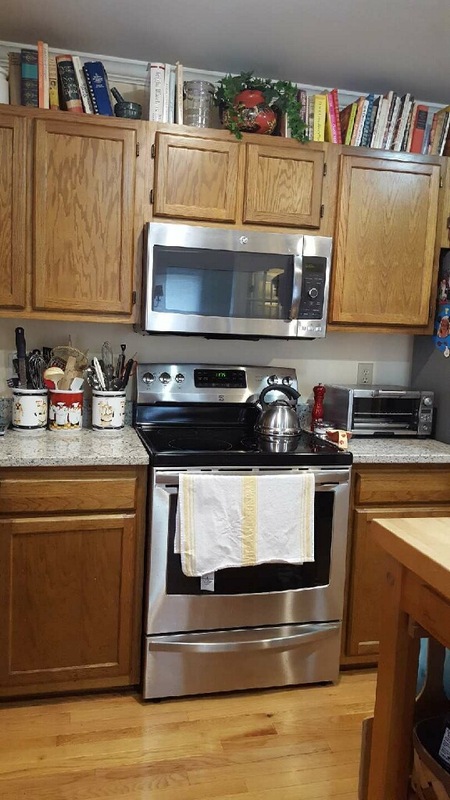 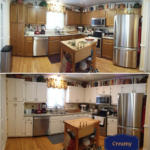 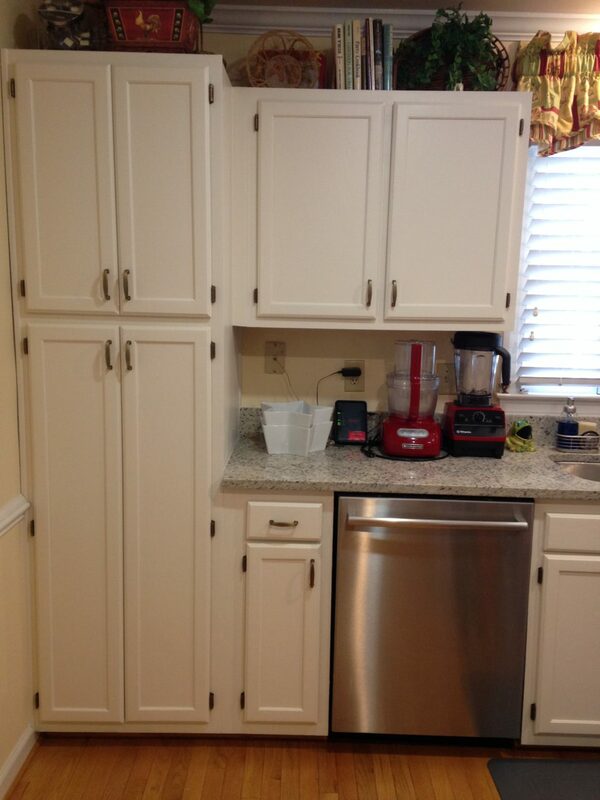 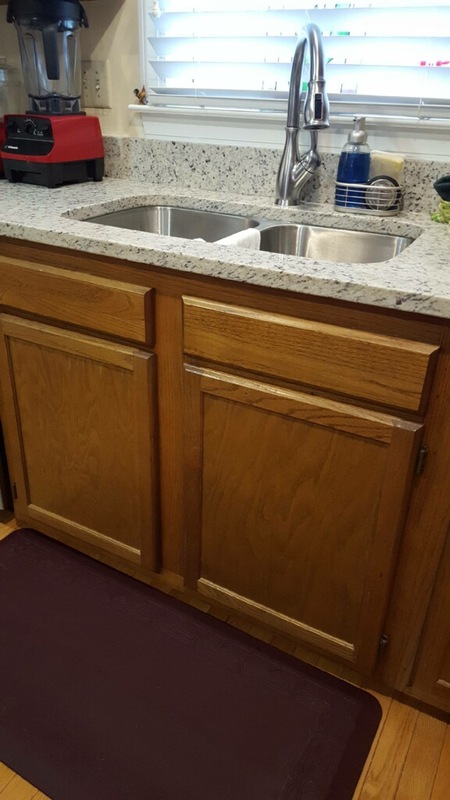 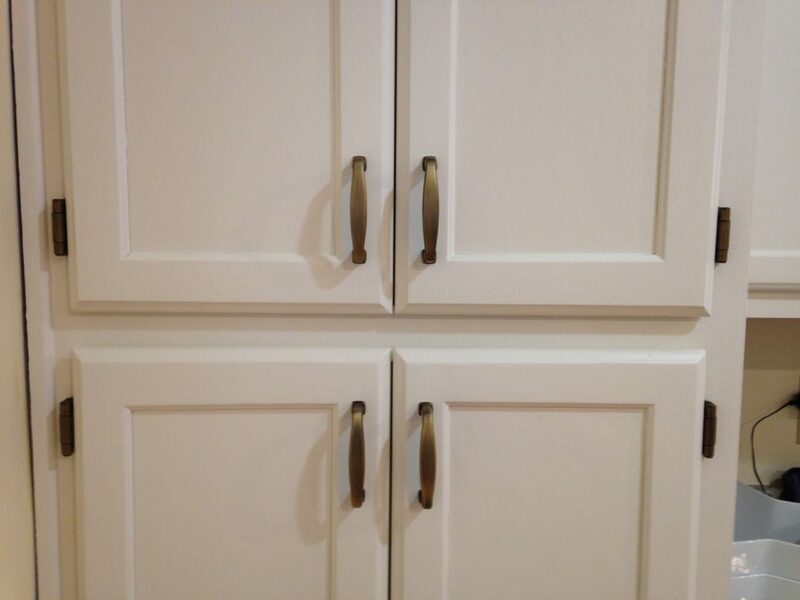 A lot of our customers struggle with the look of these exact same cabinets. 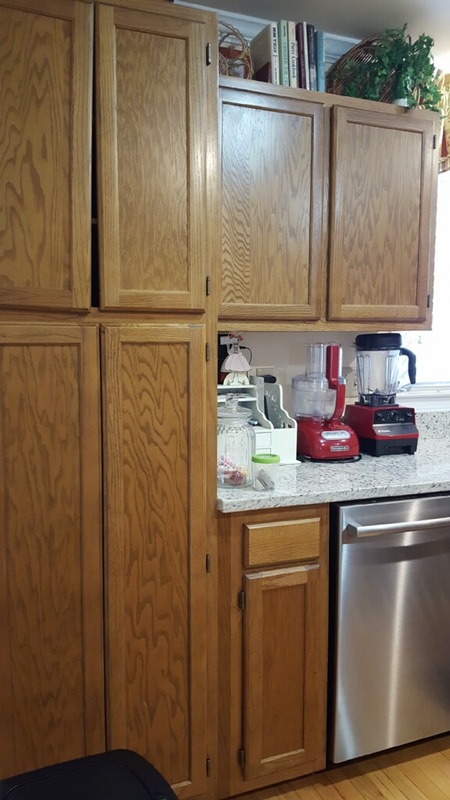 Builder grade oak which looks so dated, so fast. 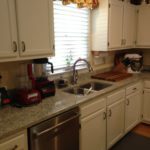 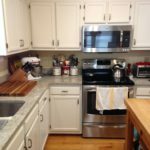 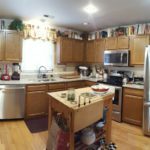 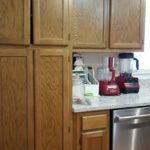 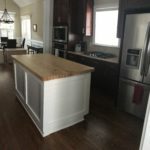 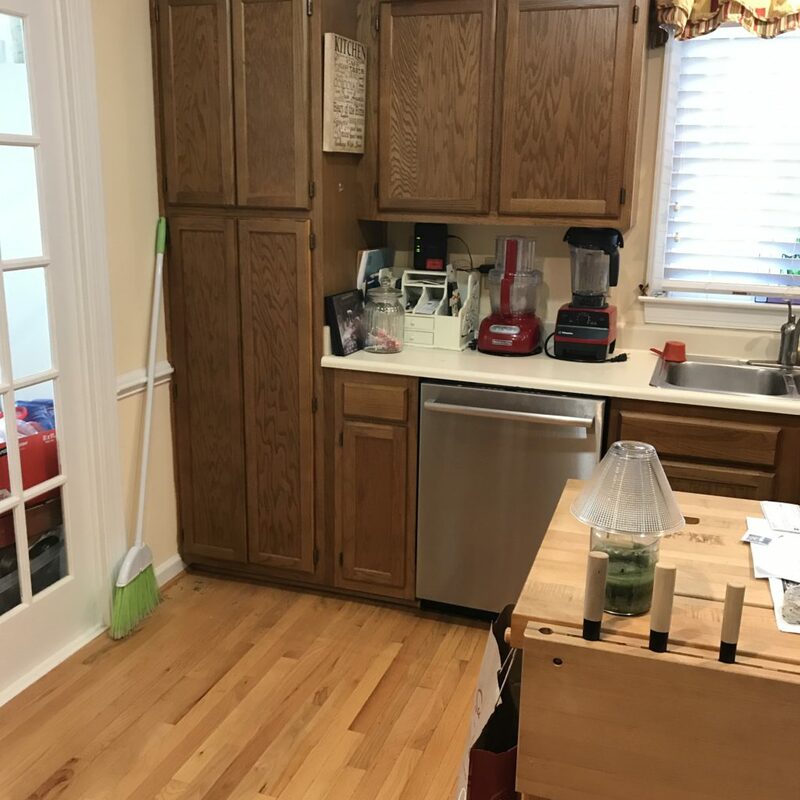 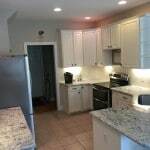 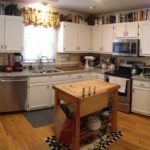 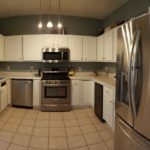 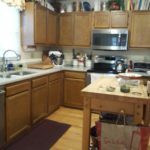 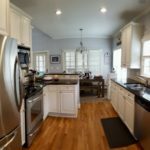 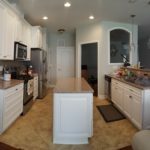 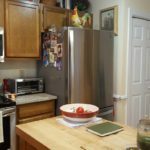 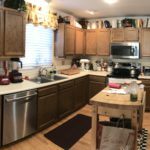 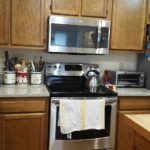 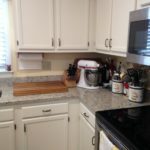 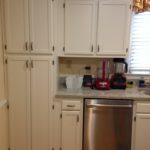 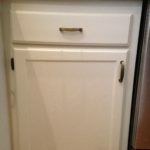 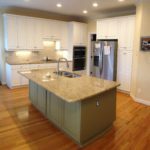 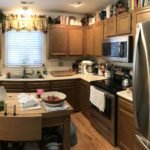 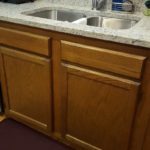 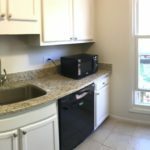 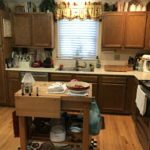 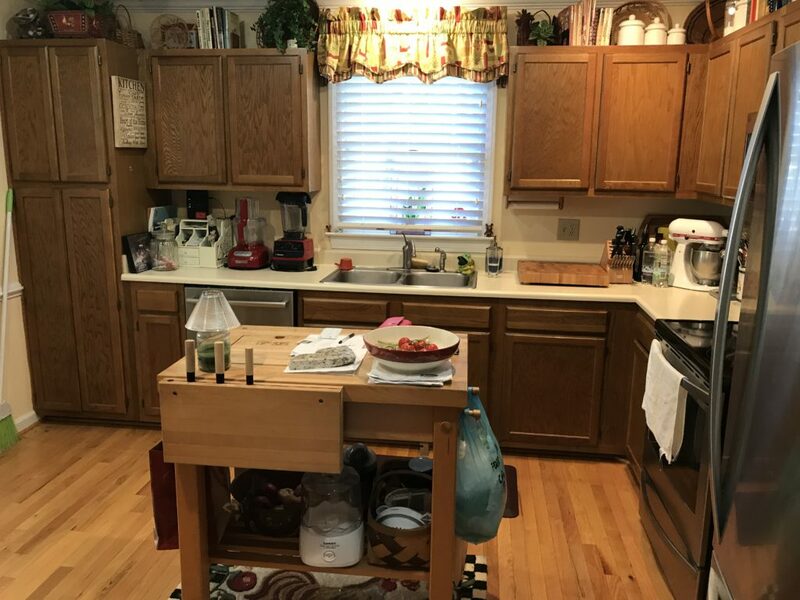 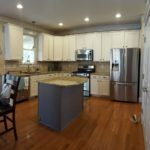 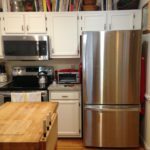 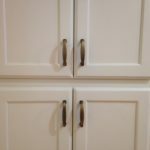 But they’re the perfect cabinets for painting because they instantly add style and a modern freshness that makes them feel anything but builder-grade. 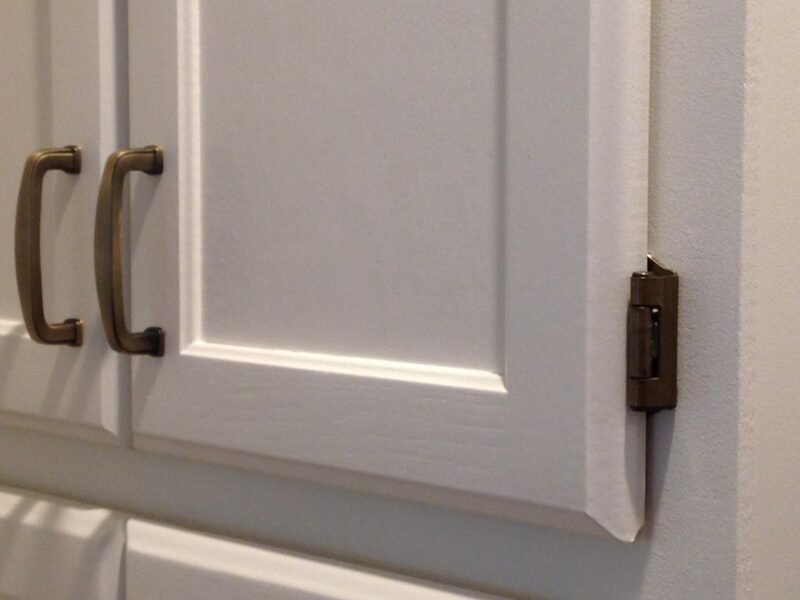 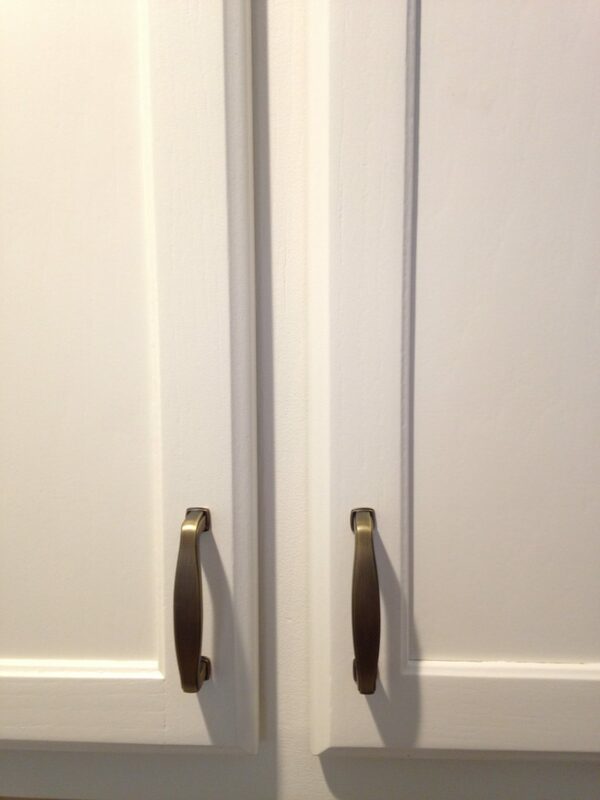 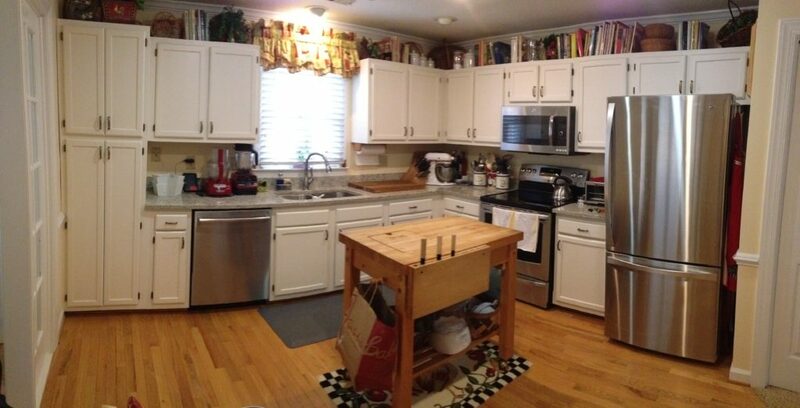 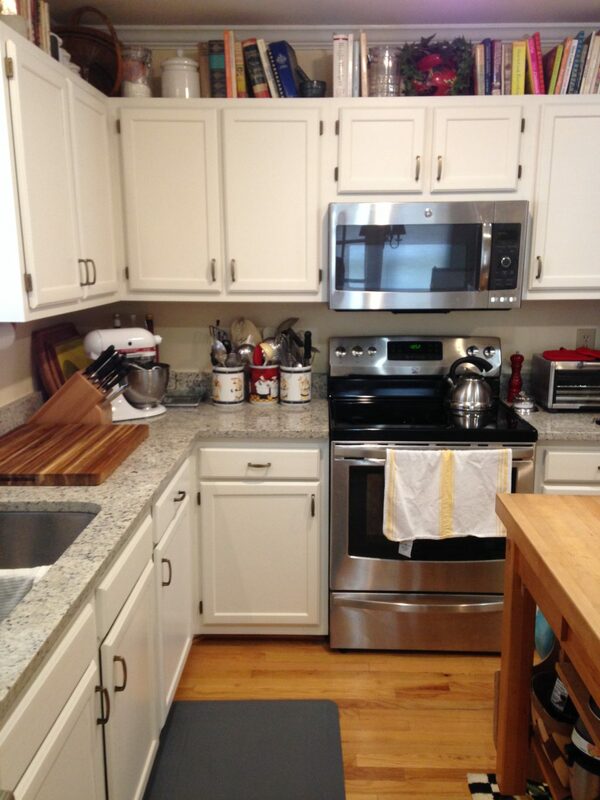 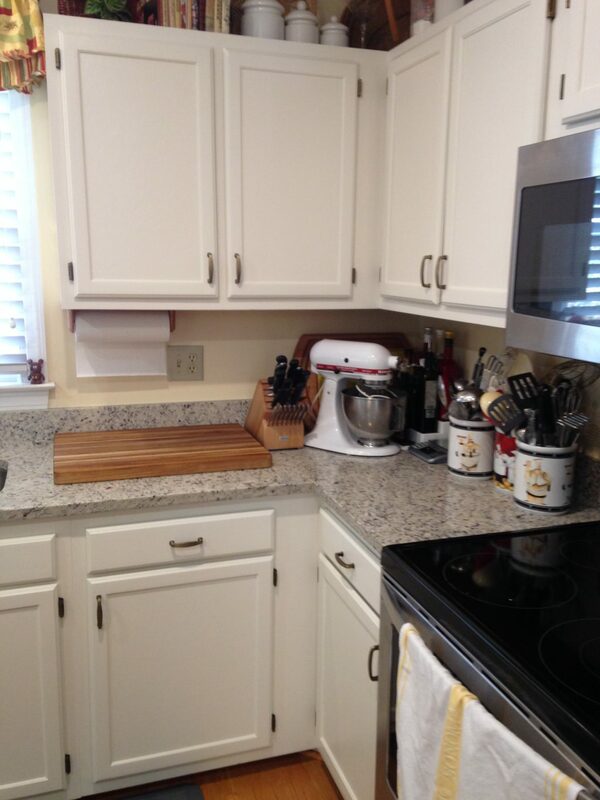 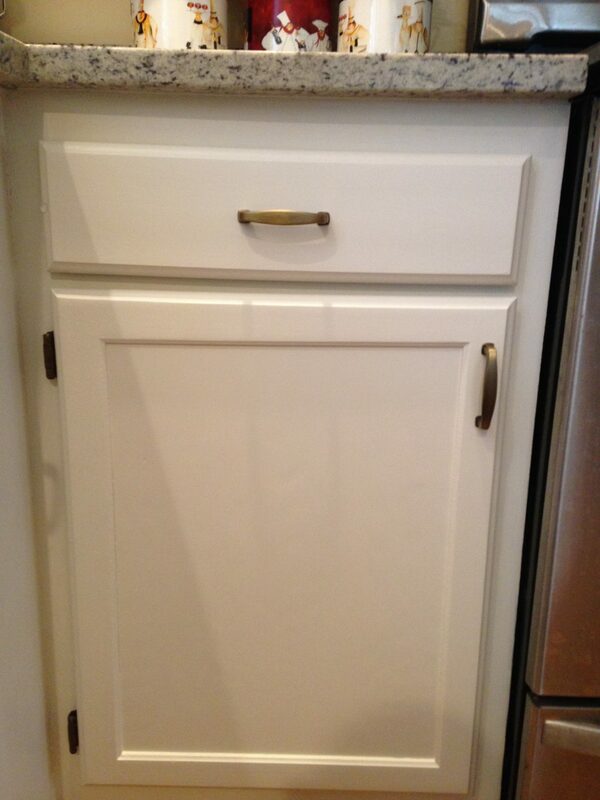 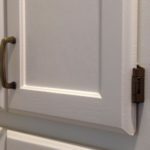 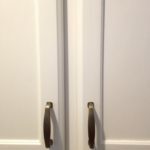 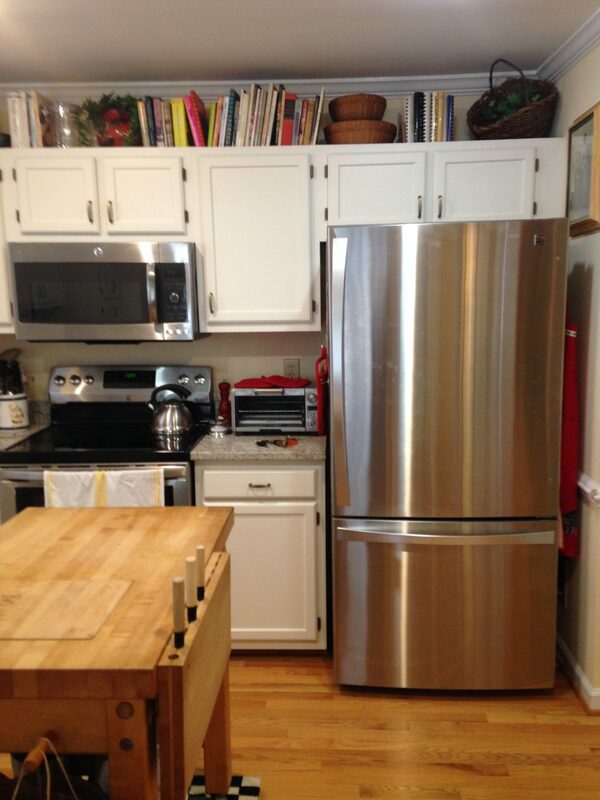 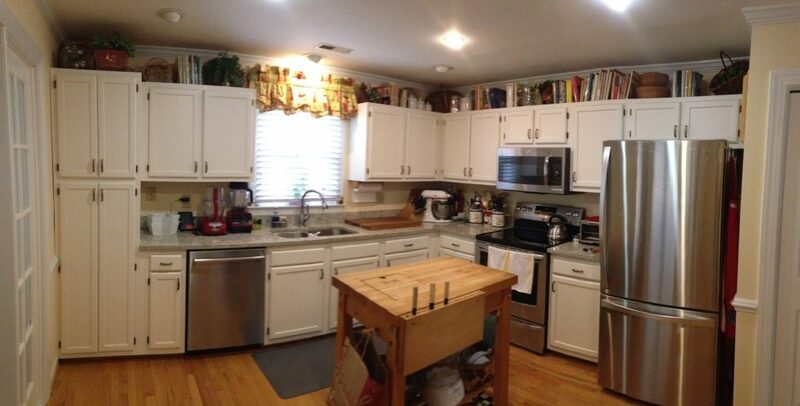 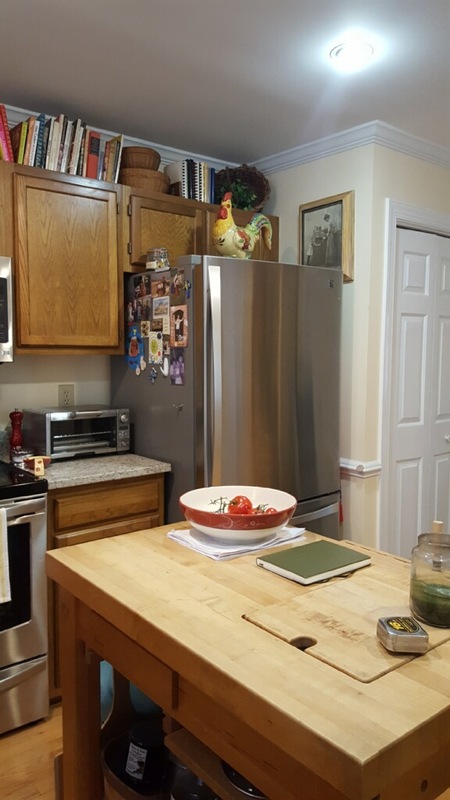 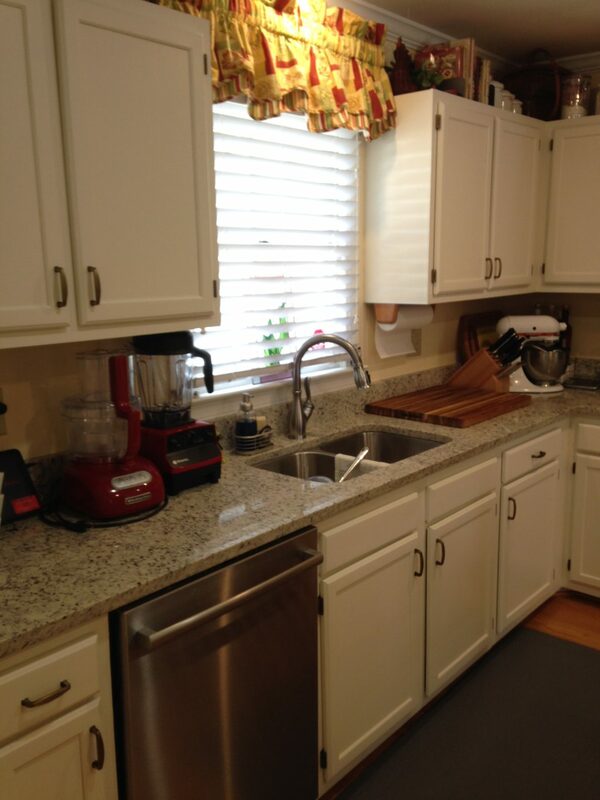 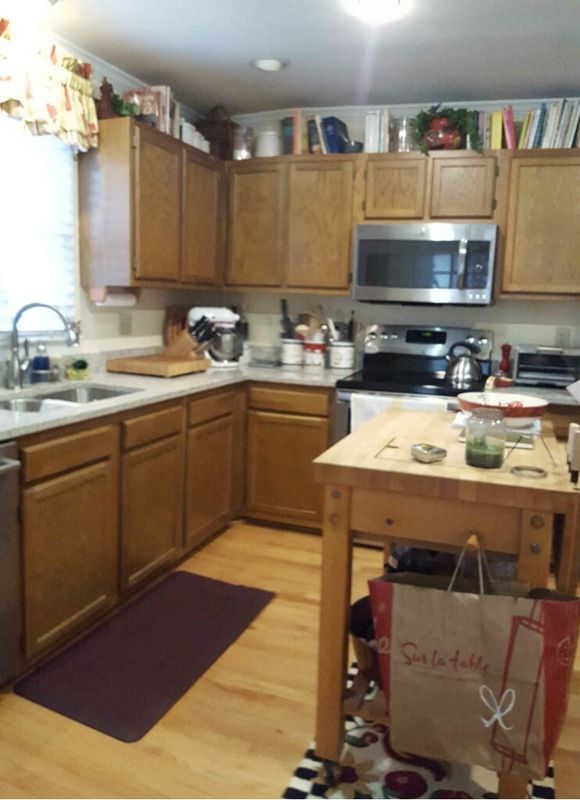 In this kitchen our homeowner also purchased gorgeous antiqued brass handles to match her existing (visible) hinges. 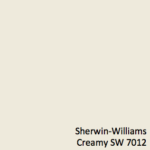 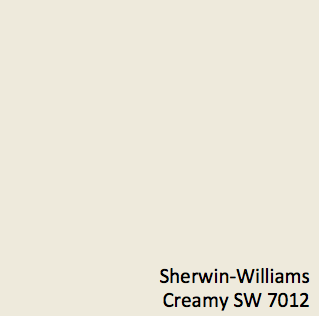 The color is right on trend!